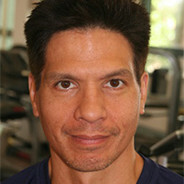 Michael Tse, PhD is Assistant Director of the Institute of Human Performance and Director of the Active Health Clinic at the University of Hong Kong. He is also Honorary Assistant Professor at HKU and an Honorary Research Fellow at HKU’s Center on Aging. Dr. Tse is a Certified Strength and Conditioning Specialist with Distinction with the NSCA and Certified Clinical Exercise Physiologist with ACSM. He was formerly Head Strength & Conditioning Coach at the Hong Kong Sports Institute and has been involved in the strength and conditioning field for over 20 years. Dr. Tse has worked with numerous Olympic medalists and World champions and competed himself at the Atlanta Olympic Games in rowing as a single sculler. He has been involved in the development of strength and conditioning in the Asian region for many years, lectured in many countries in Asia, and has helped bring and develop NSCA certifications throughout the region. His research interests focus on strength and endurance for athletes and more recently he has been carrying out research in exercise oncology and fitness in elderly population. He is passionate about strength and conditioning and wants to help the field continue to develop in Asia. He recognizes the role JATI plays in developing coaches and trainers in this field throughout Japan.